Hi! 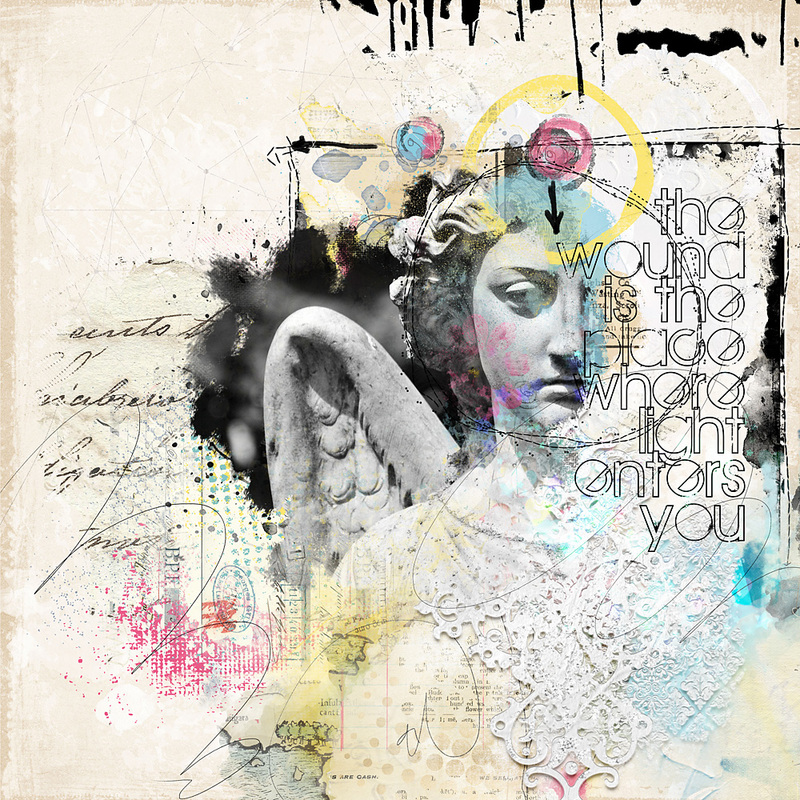 Cindy here with a page I made using the Quotations collection by NBK-Design, that has just been re-released at The Lilypad. The word art I used on my page caught my attention right away. I find it really profound and comforting at the same time. 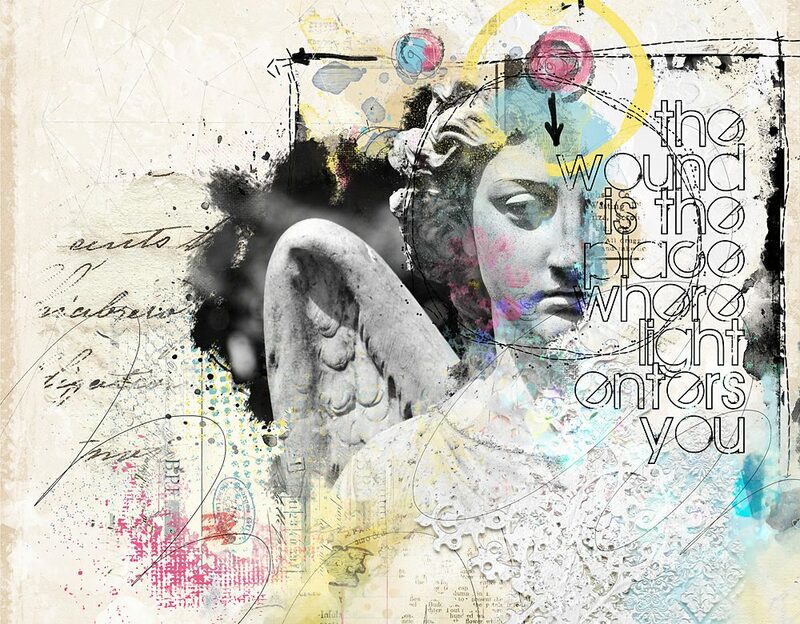 I chose a photo of an angel statue from Pixabay and clipped it on a Mask. I finished off my page with various artsy bits & pieces, along with the amazing Urban Art Pieces and Loopilaloozas.